Hey y’all! It’s reviews-Day Tuesday once again, and I’ve got something brand-spankin-new from Revlon. 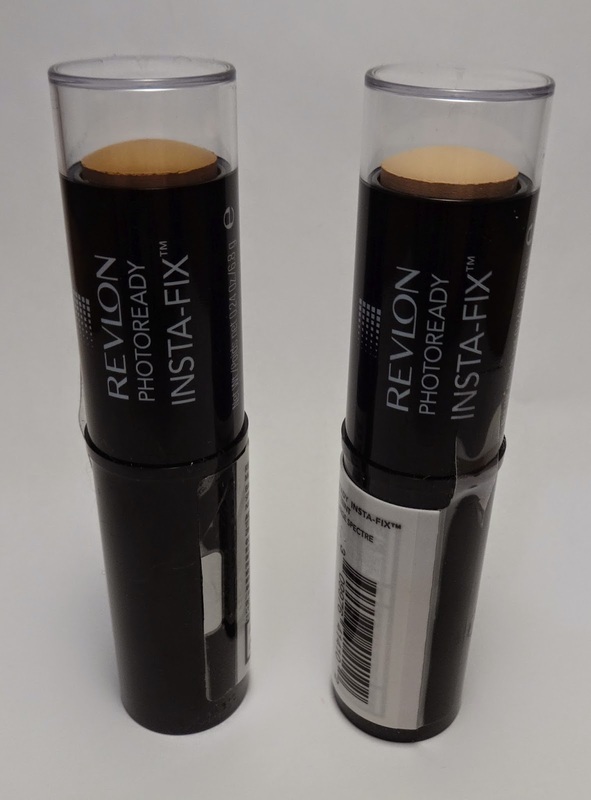 This is Revlon’s Photoready Insta-Fix Makeup – the instant skin retoucher. The light-weight formula uses light filtering technology to create your airbrushed look, with one easy step. 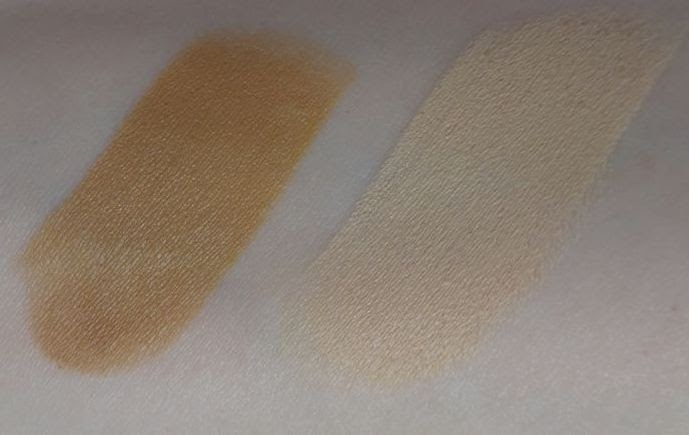 It can provide all over coverage (light/medium), conceal specific flaws, or be used for a light touch-up. Formulated with super-refined pigments and unique light filtering technology to give skin that retouched look with each use. I tested out two shades, “Rich Ginger”, and “Ivory”. The formula is really nice on these. It’s creamy, and just slightly thick, so it doesn’t drag. 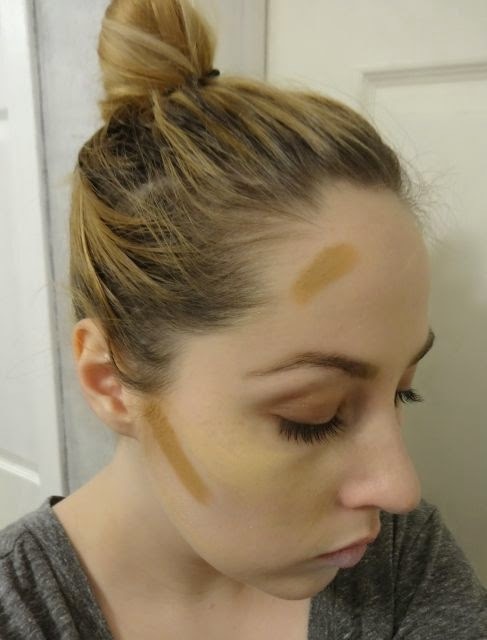 I have been using these for 2 main purposes – for concealing (although it can also be used as a full face foundation), and…..BEGINNER CONTOURING! I can’t stress how great this product is for contouring, especially if you’re a beginner. Just draw on a line, with the stick, and you can easily blend with your fingers – no fancy brushes or sponges needed. 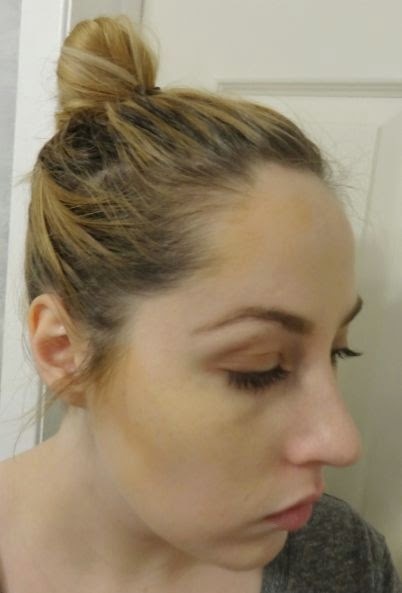 Since I’m somewhat new to contouring (still trying to grasp the concept), I applied the darker colour to the area below my hairline, but above my temples, as well as the area just below my cheekbones, starting near the top of my ear (about an inch-worth of product), aiming towards the corner of my mouth. I also used the lighter colour as a ‘barely-there’ highlight above my cheekbone, as well as under my eyes, to conceal. Then, I blended the under-cheek area with my finger tip, in a back-and-forth motion, towards the top of my ear, and small circular motions, until I was happy with the results. I blended out the darker colour near my hairline in a circular motion (although, looking at the pictures, I’m seeing that I should’ve blended a bit more – still learning the art of contouring, folks!) I also blended out the lighter colours’ edges, so I didn’t have any harsh lines. The contouring added some dimension to my face, and it took less than 2 minutes – so it’s easy to work into your everyday beauty routine, or to use when you’re short on time. And bonus, their lightest colour “ivory” actually matched my skin, once blended! For me, it’s tricky to find something that isn’t too dark, isn’t too yellow, and isn’t too pink, so I’m happy that there was a match for me.